Your enquiry/contact is most welcome & promptly answered. Sinch Square Bale Feeders was invented and patent applied for in April 2006 by Gerard Kenna at the family dairy farm "Scarriff"Western Victoria Australia.The USA Patent Office issued Patent Number 8371791 on Feb 12th 2013. The goal initially was to find a quick cost effective means of feeding large square bales of silage.Over time he developed a safe, fast and simple way to feed out big loads of square bale silage and hay. Sinch Square Bale Feeders won first prize at Sheepvention Hamilton August 2006 and became a finalist in the National Agricultural Inventors Awards at the Australian National Field Days at Orange New South Wales, October 2006. It was then known as The Extruder. The Extruder's name was then changed and trademarked as The Sinch Bale Trailer Feeder as the name Extruder could not be trademarked. 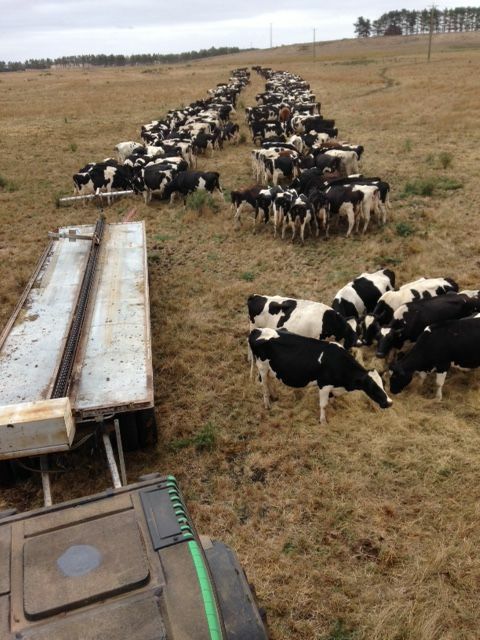 The Sinch Bale feeder was then officially launched at Sungold Field Days 2007 and taken to Farm World Lardner Park February 2007, The Sinch then won at The DairyVator Innovation Awards for South West Victoria 2007. The Flakers were added early in 2009 and with exhaustive research and development since 2006 these square bale hay feeders are taking their place as the premier square bale feeder on the world market.To give an insight into the quality of Sinch Bale Feeders the working load capacity of the main components is much above what is needed ( these have been sourced from the mining industry ) and will last a very long long time. This square bale feeder has been refined and simplified to the degree that it only requires 2 hydraulic hoses and the sole control is one single lever already inside the cab. Remarkably there is only one hydraulically driven gearbox. 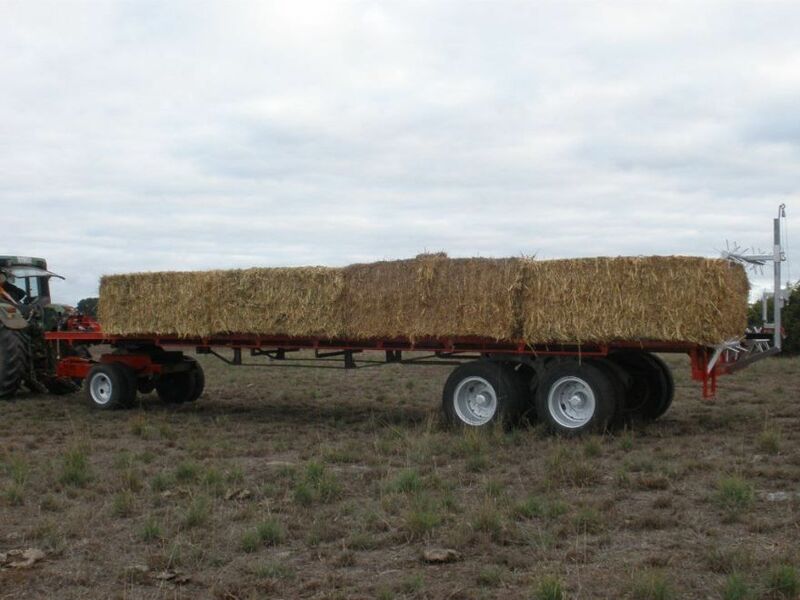 The hay trailers that Sinch Bale Feeders are installed on usually have load capability that enables them to be used for numerous other farm tasks including transporting loads of hay and silage. The best and most efficient square bale trailers for a Sinch Square Bale Feeder to be installed on have pick up hitch. 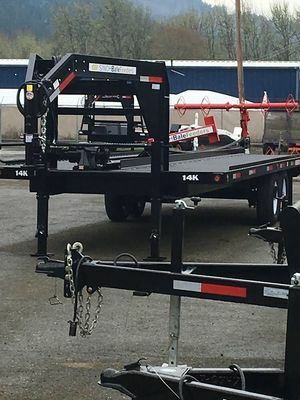 Goose neck trailers are perfect either for installation or to take a detachable. There are farm demonstrations daily at Scarriff. Sinch Square Bale Feeders demonstrations is located at 670 Ellerslie Sisters Rd, The Sisters Vic, 3265. We can visit you or you can phone and visit them to see a Sinch Square Bale Feeder in action.